Yemeni rebels in control of the capital ordered the finance ministry on Thursday to suspend all payments except salaries to state employees, in an apparent tightening of their control over government bodies. Abdelmalek al-Ejri, a member of the political bureau of the Shiite Muslim Houthi movement, or Ansarullah, told Reuters the measure was at the request of employees anxious that public funds be protected at a time of uncertainty. Houthi fighters seized Sanaa with little resistance on Sept. 21 after overrunning an army brigade affiliated to the rival but moderate Islamist Islah party, making them effectively the power brokers in the country. The Houthi group, which has ties to Iran, has resisted demands to quit the capital, saying that an agreement they signed with President Abd-Rabbu Mansour Hadi to make them a part of the government gives them the right to stay until a new prime minister has been named. Saudi Arabia views the Houthis, who hail from the Zaydi branch of Shiite Islam, as allies of arch-rival Iran. 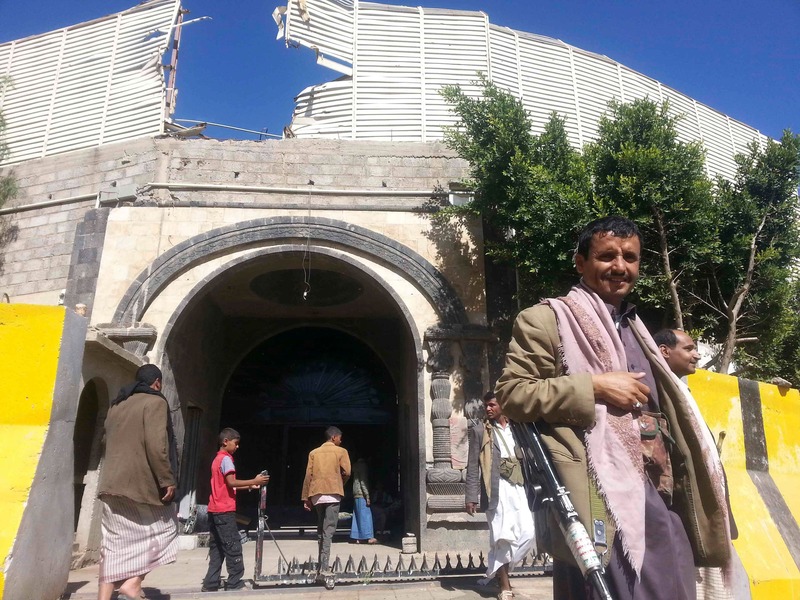 The Houthis acknowledge they are on good terms with Iran but insist they are not backed by it. Tehran denies meddling in Yemen. He said the instruction had been delivered by what he called popular committees overseeing the operations of various ministries and seeking to ensure security in the city of two million following the Sept 21 takeover. Prime Minister Mohammed Basindwa, who resigned on the same day as the takeover, was due to keep his government in place on a caretaker basis under the accord between Hadi and the Houthis. But most ministries are functioning at a minimal level and many ministers and senior officials are not reporting to work. A ministry employee, who declined to be identified, said a ministerial oversight committee set up by the Houthis delivered the instructions on financial transactions. “The committee ordered the officials to abide by their instructions until a new government is formed,” the employee said. Ejri said the committees consisted of grassroots groups that had joined anti-government demonstrations launched by Houthis in Sanaa in August in protest against fuel price rises. Some Yemenis say the Houthis have shown restraint since they seized Sanaa: Apart from raiding homes of well-known figures they accuse of being behind wars launched by the government against their northern Saada strongholds in 2004-10, the Houthis have generally not interfered with ordinary people. 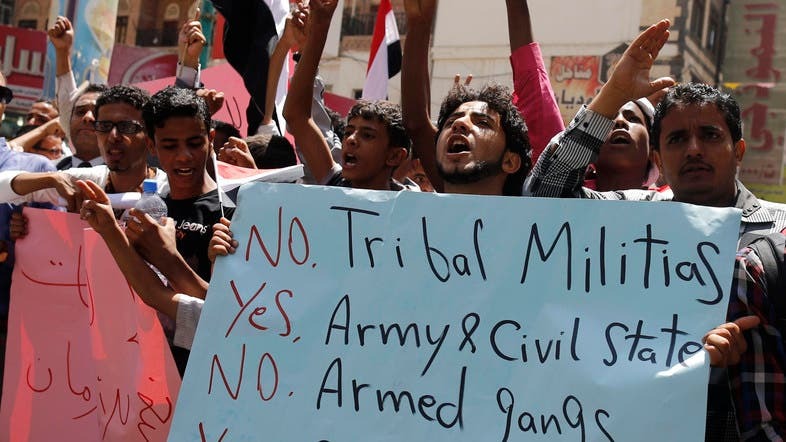 But officials say that the measures taken by the Houthis at the level of the state amount to an unprecedented degree of control by private interests over state institutions. At the state-owned Safer oil company, employees said Houthi officials were keeping a watch on its activities and had assigned an official to review documents before they were signed. Employees also said that governmental oversight committee officials also ordered a freeze on new civil service hiring until a new government takes office. Stability in Yemen, a neighbor of Saudi Arabia, the world’s top oil exporter, is a concern for the United States. At an emergency meeting held in Saudi Arabia late on Wednesday, Gulf Arab interior ministers warned that the situation in Yemen was a threat to the region and demanded the restoration of government authority in Yemen. Saudi Arabia fears that the rise of the Houthis to the position of Yemen powerbroker amounts to a victory for Iran.